A Lifestyle of Peace: Philosophy, Jesus Christ & Apologetics: Explaining the Empty Tomb: Did Jesus Rise from the Dead? Jesus is mentioned as a historical person in multiple sources, such as Tacitus, Pliny the Younger, Josephus, the Babylonian Talmud, and Lucian among others (Gleghorn, 2001). But the New Testament scriptures are themselves more historically attested to than any of these sources, with 5,868 ancient Greek manuscript copies (Slick, 2008). The accuracy of these manuscripts when compared to one another are 99.5% accurate (Slick, 2008). The only differences between these manuscripts are minor spelling and grammar errors that don’t impact the meaning substantially (Slick, 2008). Therefore, I would make the contention, as is the general consensus in history, that the New Testament documents are historically reliable and outside historical sources prove beyond reasonable doubt that Jesus of Nazareth did exist, was crucified, and his tomb was found to be empty. Now the real question is, did Jesus rise from the dead? The tomb was empty, that much is historically known. So how do historians explain the empty tomb? The most direct explanation would be that Jesus did in fact rise from the dead. Christianity spread quickly after the crucifixion. In fact, each of Jesus’ disciples aside from John were martyred for their faith (Gertz, 2008). History records that each of them died proclaiming that Jesus had risen from the dead (Gertz, 2008). Why would they die for something that wasn’t true? In fact, there are historically recorded events in which Jesus appears to people after his death, including at one point when he appeared to over 500 people (1 Corinthians 15:6). The best answer is that Jesus really did rise from the dead. But there are other arguments that are put forward as possible alternatives to this hypothesis. Some would contend that the disciples of Jesus went to the tomb and stole the body, and then proclaimed that Jesus had resurrected. That’s one theory. Another theory is that Jesus’ disciples were so devoted to him and wished so greatly for their master to still be alive that they hallucinated seeing Jesus. Still another theory is that Jesus didn’t really die on the cross. He was only injured, or drugged, and later he recovered from his injuries and appeared as if he had resurrected. They call this the “Swoon theory.” Additionally, there are several other less prominent theories, such as the women went to the wrong tomb or the Roman authorities themselves removed the body of Jesus, but these theories are quite unlikely, so we will not explore them further here. Instead we will look at the three main counter theories, the stolen body theory, the mass hallucination theory, and the swoon theory. The first theory is that the disciples stole the body (Storms, 2017). The stolen body theory is not likely because it is recorded that the disciples were so terrified that they fled when Jesus was arrested and brought before Pontius Pilate (John 20:19). In addition, Roman guards were present during the crucifixion monitoring the situation. And it’s recorded in the scriptures that guards were placed outside the tomb of Jesus to guard against any possible tampering (Matthew 27:62-28:15). Roman guards would face execution for failing to fulfill their orders, especially in a situation like this, where stakes were high. 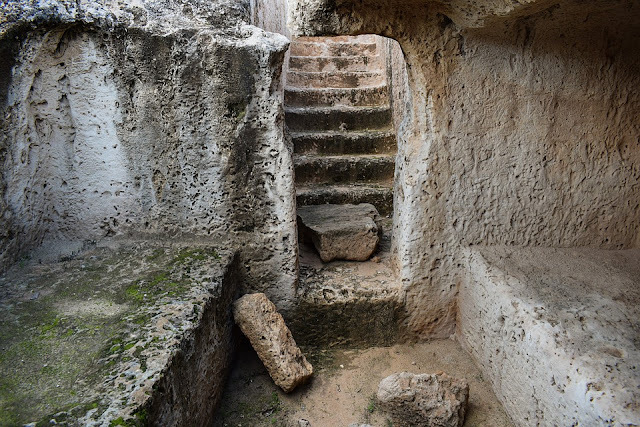 When combining the reality that the disciples were fearful and in hiding, and the tomb was guarded by Roman soldiers, it is highly unlikely that the disciples stole the body. Additionally, how does one championing this theory explain the post-crucifixion appearances of Jesus? The mass hallucination theory indicates that the disciples were hallucinating when they thought they saw Jesus (Storms, 2017). They wanted Jesus to be alive so badly that they hallucinated. However, there are several problems with this theory. First of all, how does one explain that all the disciples saw Jesus, together? How do they explain that a crowd of over five hundred people all saw Jesus at the same time? Were all of them hallucinating? And how could all the same people have the same hallucination? None of this makes any sense. Hallucinations are not shared among the same people. Therefore, the mass hallucination theory fails on these grounds. The “swoon theory” is that Jesus didn’t really die on the cross (Storms, 2017). First of all, Jesus was scourged by the Romans, and forced to carry his own cross (Matthew 27:26, John 19:17). He had a crown of thorns forced around his head. He would’ve been bleeding profusely. He was then nailed to the cross, on the wrists and through the feet, areas that would cause high amounts of bleeding. Jesus was hoisted upon the cross for at least three hours, probably much longer (Matthew 27:46). He would’ve struggled with massive loss of blood, difficulty breathing, exhaustion, and dehydration. And we read in the gospels that Jesus was pierced with a Roman spear to make sure he was dead (John 19:34). It was recorded that blood and water flowed from the location where he was pierced. The water and the blood would’ve been clear evidence that Jesus was dead. According to J. Warner Wallace (2014) “Anyone beaten as badly as Jesus in the hours prior to his crucifixion would surely have suffered circulatory shock and heart failure. When this happens, pericardial or pleural effusion typically results. Water begins to form around the heart or in the lungs. If this happened to Jesus, water would pour from his body if the soldier’s spear entered into either of these two regions.” Medical science tells us that the water and the blood shows that Jesus was in fact quite dead. For this reason, the swoon theory is certainly false. So why should we believe that Jesus rose from the dead? Well there are several good reasons to believe this. Once again we can mention how Christianity rapidly spread from Jerusalem and into the ancient Roman empire, being preached by the same disciples who fled into hiding after Jesus was crucified. These same terrified disciples became as bold as lions to travel as missionaries across the ancient world when they encountered the resurrected Jesus. The example of the Apostle Paul is also telling. He encountered the resurrected Jesus on the Damascus road and he went from being a persecutor of the early church to one of its most ardent heroes (Galatians 1:23). Jesus appeared to over five hundred witnesses, and it was recorded by the apostle Paul that while he was writing his letter many of these people were still alive (1 Corinthians 15:6). He in effect invited readers to go and ask these eyewitnesses about when they saw Jesus. Jesus of course also showed himself to his disciples on the Emmaus road, along the sea of Galilee, and to James, after his crucifixion. Given the spread of Christianity from a few thousand persecuted Jewish Christians to being the most prominent religion in the world today, the empirical and historical evidence is strong that Jesus did in fact resurrect from the dead (Hackett & McClendon, 2017). Additionally, even today millions of people testify to the fact that Jesus has changed their lives. This all forms a cumulative case that we can indeed believe that Jesus Christ rose from the dead. In conclusion there is much evidence to believe historically that the tomb was empty, and that Jesus did rise from the dead. 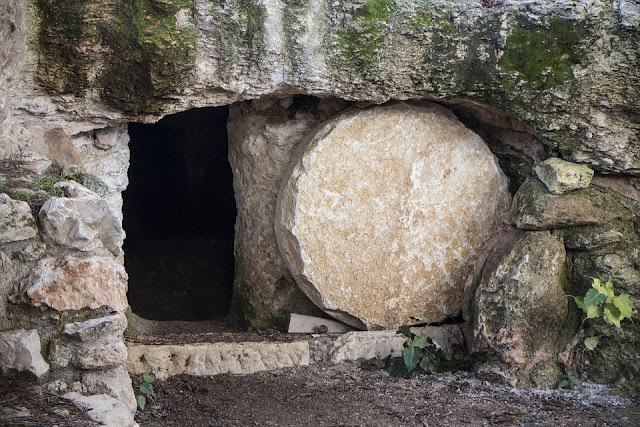 Though non-believers put forward several alternative theories to the resurrection, those arguments do not hold water when compared with recorded history and the facts involved in the situation. Given the cumulative evidence for Jesus’ resurrection, we can believe that Jesus is bodily resurrected, and is our true Lord, King, and Savior. Geisler, N. L. (2012). The big book of Christian apologetics: An A to Z guide. Grand Rapids, MI: Baker Books.